January 24/25 of 2012 saw a 5+ inch rainfall in less than 6 hours. 12 hours later, the Meadow Preserve, parched from the drought of 2011, was a radically different place. 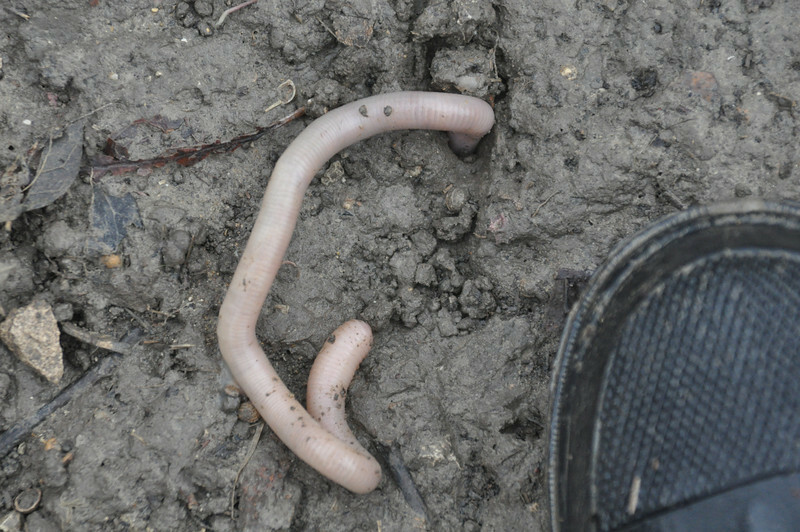 BIG earthworm - toe of boot for reference - lots more of him underground.